US Attorney General William Barr plans to release a redacted version of Special Counsel Robert Mueller‘s report on the inquiry into Russia‘s role in the 2016 US election on Thursday – the keyword being “redacted”. The Democrats’ demands for a full, unredacted version of Mueller’s report are likely to prompt a political and legal battle that could last for months, if not much longer. The chairman of the House Judiciary Committee, Jerrold Nadler, has said he is prepared to issue subpoenas “very quickly” for the full report on Russia and Donald Trump‘s presidential campaign if it is released with blacked-out sections. And that would set the legal fight in motion. Here’s a look at what’s likely to be withheld, and why Democrats say the full report should be released. Both of those cases were under somewhat different circumstances, including that the House Judiciary Committee had initiated impeachment proceedings. Federal court rules state that a court may order disclosure “preliminary to or in connection with a judicial proceeding”. The Justice Department regularly redacts information about people who were interviewed or scrutinised in investigations but not charged. Barr has said he will black out information from the report “that would unduly infringe on the personal privacy and reputational interests of peripheral third parties”. Asked by Senator Jeanne Shaheen, at a hearing last week if that meant he would redact information to protect the interests of Trump, Barr said it did not. 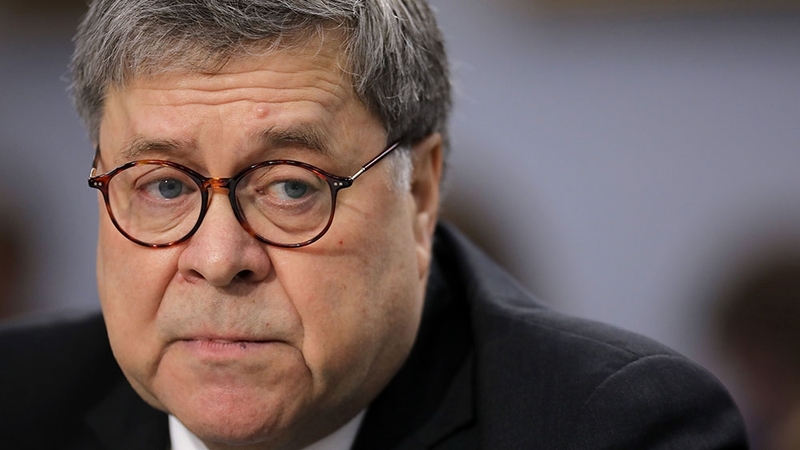 “No, I’m talking about people in private life, not public officeholders,” Barr said. That means that in addition to Trump, members of his family who work at the White House, such as his daughter Ivanka, could potentially be named if they were somehow entangled in Mueller’s investigation. But any information regarding his sons, Eric and Donald Trump Jr, who run his businesses, could be more likely to be redacted.